Hello there! This webpage was made to educate you about the snail species Patera clarki nantahala. The common name for the snail species Patera clarki nantahala is the Noonday Globe snail (Stang, 2012). 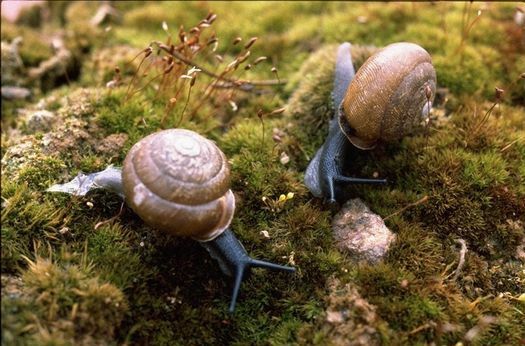 According to Fridell, little biology is known about the Noonday Globe snail because of the restrictions of its distribution (2011). The noonday globe snail is only distributed about two miles of high cliffs within Western North Carolina (Fridell, 2011). In 1978 the Patera clarki nantahala was listed as a threatened species and fines for taking one are quite heavy (Fridell, 2011). According to the U.S. Fish and Wildlife service, in 2007 the Patera clarki nantahala was listed under the Endangered Species Act of 1973 in an initiated 5 year review. This act, according to the U.S. Fish and Wildlife service, is to determine that species listed as endangered or threatened are accurate. Want to know more about the Patera clarki nantahala? Click the button below to view it's classification!